On Saturday, March 30th, around 500 people gathered in Leesville College Park to participate in Arts in the Park, an event sponsored by Lexington County School District Three in partnership with Arts on the Ridge and the Town of Batesburg-Leesville. Attendees enjoyed performances by the B-L Middle School/B-L High School Honor Band; the B-L Elementary School Honors Choir; and the B-L Primary, B-L Middle and B-L High School choruses. In addition, guests were able to preview scenes from the upcoming B-L Elementary School musical Annie, Jr., which will be performed at the Fine Arts Center on May 18th. Beyond getting to see performances by Lexington Three students, attendees could also shop with local craft vendors, enjoy snacks from food trucks and children could participate in hands-on art activities led by the district’s art teachers. There were also face painting booths and storytelling sessions hosted by the Lexington County Public Library. 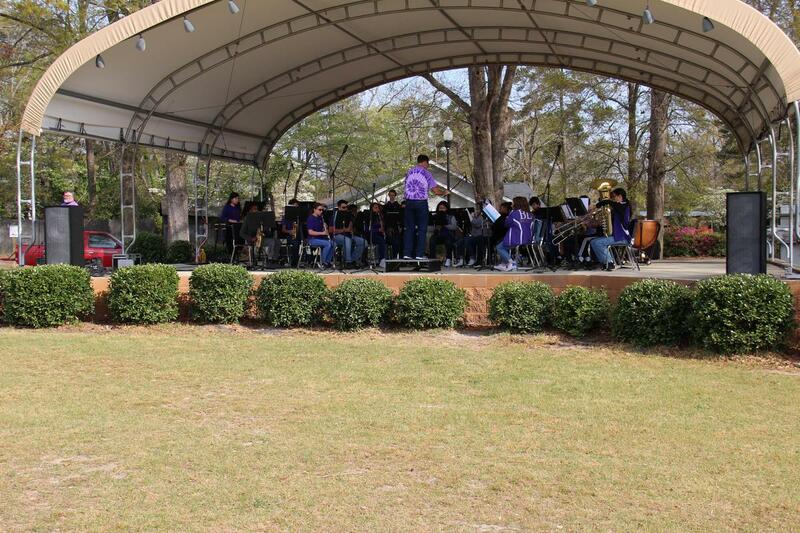 “The idea behind Arts in the Park is to give community members a taste of all of the many artistic opportunities that are not only present in Lexington County School District Three, but within the Batesburg-Leesville community as well. Art exists in many different forms and it is our hope that through this event we are able to showcase the talents that exist within our schools and community,” said Angie Rye, Chief Academic Officer for Lexington Three. District Three administrators and teachers hope to make Arts in the Park an annual event.